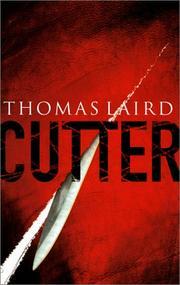 Short-story specialist Laird (Blue Collar, not reviewed) pads his way to novel length with the exploits, all too explicitly described, of a Chicago serial killer who first chloroforms his prey, pretty young gals, and then removes vital organs, presumably to sell on the black market to desperate souls in need of transplants. When homicide cop Jimmy Parsi, in his 50s and on the brink of burnout, catches the case, he quickly zeroes on in three suspects. But when he leans on his low-level Mafia-connected cousin Billy for help, he sets the guy up for death, then, after he’s been eliminated, writhes when his own gal, precinct cop Natalie, newly assigned to street duty, becomes the killer’s target. There’ll be more deaths, of course, along with more Mafia rumblings and more bullets hitting everything from doorframes to clavicles before a gender-bender finale with the serial killer sows banner headlines. Alternates gristle and flab, romance and sexual pathology, all of it laid on with a heavy hand—except the killer’s surgeries, which are gruesomely accomplished.